Those other businesses include running a stadium and maximizing when it’s empty. Baer says the team is also getting into the real estate business, and plans to build a community of offices, apartments and shops on team-owned land. 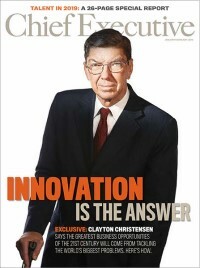 There is also a lot of talk these days about building a culture of innovation, without which there is no success. The blog Innovation Excellence discusses in a post that the first step in achieving a culture of innovation is to make culture everybody’s responsibility. The step is one of 5 lessons inspired by Etsy, a peer to peer group that is planning an IPO this year. “The key to Etsy’s remarkable growth strategy is its distinctive culture, attracting and retaining devoted employees and customers,” Tim Leberecht, the post’s author, said. Both the Giants’ and Etsy’s culture align well. Baer calls culture “working together around a common mission and doing it in a selfless way.” A great example of that is that all Giants’ employees are receiving a championship ring. “The person who was the assistant in the marketing department is treated just like a member of the team. And I think it gets everybody pulling on the same rope,” Baer told the Journal. Having an executive leadership meeting specifically around your company’s culture. Ask your direct reports to define it, and then to tie it to achievement of company goals. Then ask your employees the same question and compare the answers.